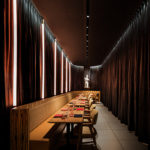 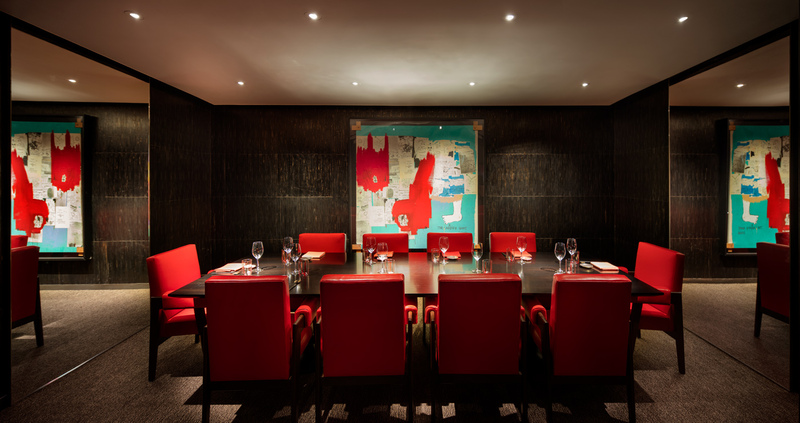 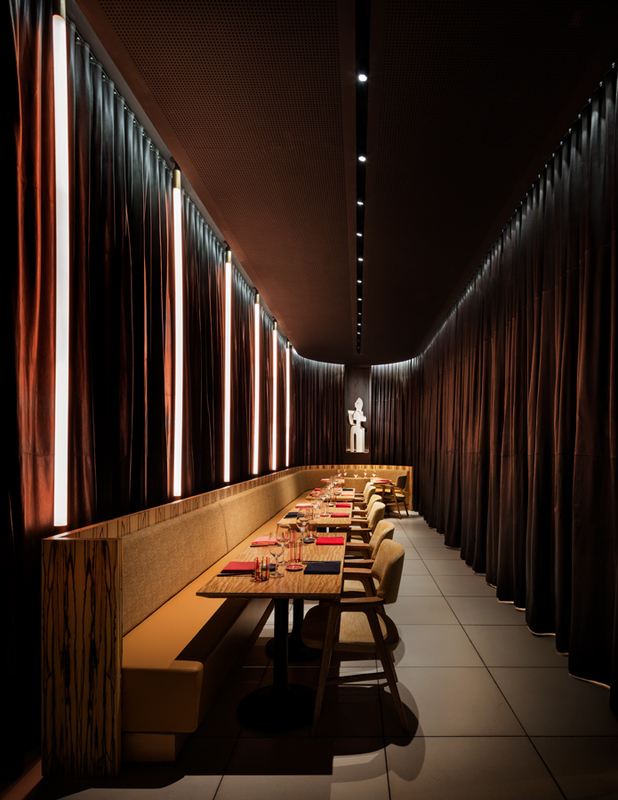 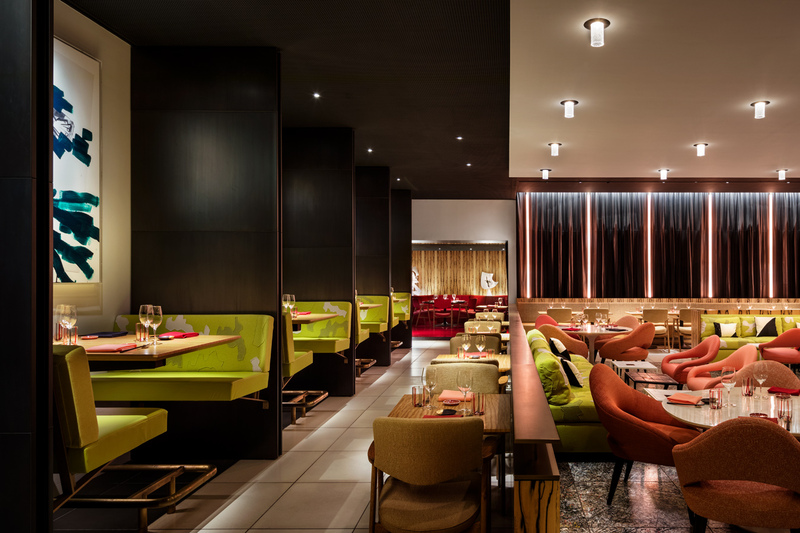 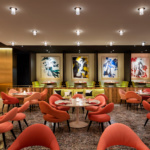 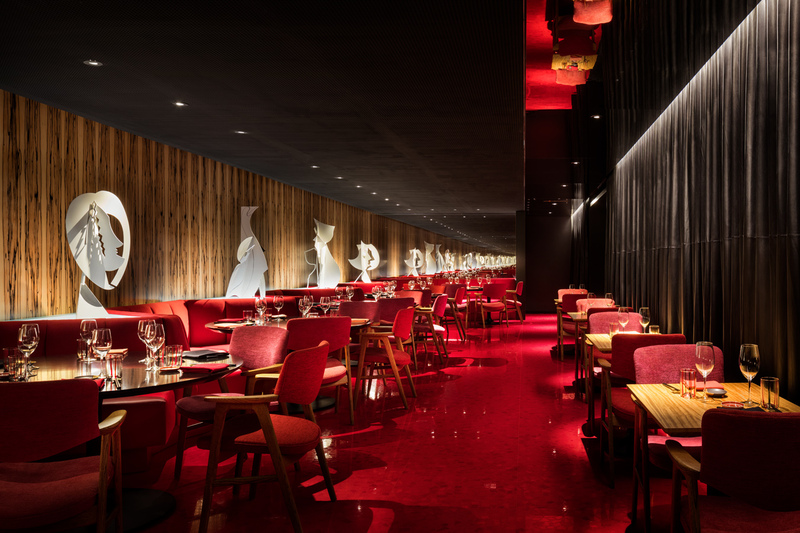 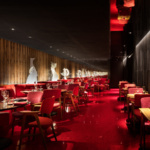 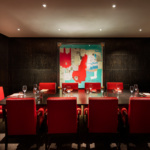 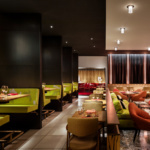 As part of the redevelopment of hospitality spaces in New York’s iconic Seagram Building, L’Observatoire International conceived of a lighting concept for the celebrated Peter Marino–designed Lobster Club restaurant. 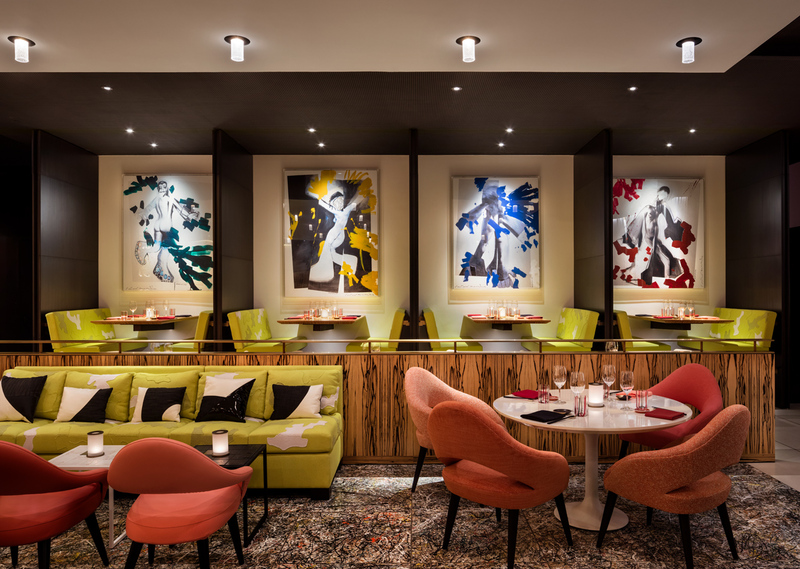 Marino’s design relinks the Seagram space with its Pop Art heritage. 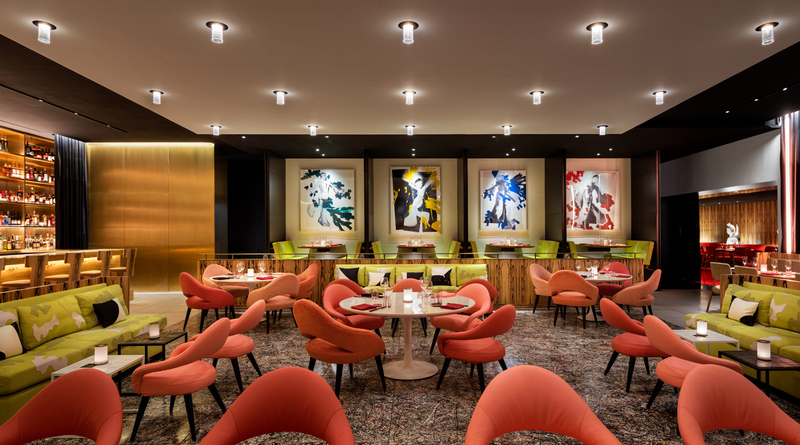 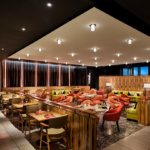 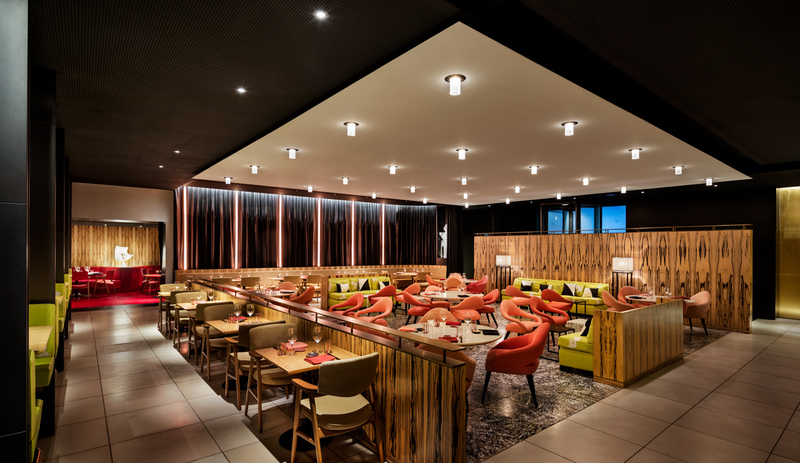 Collaborating with developer Aby Rosen and Major Food Group, L’Observatoire introduced a bold design concept for both levels of the venue that complements this colorful scheme. 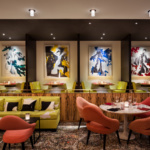 Upstairs, lighting fixtures were introduced as provocative punctuations, echoing the space’s contemporary take on midcentury modern graphic opulence. 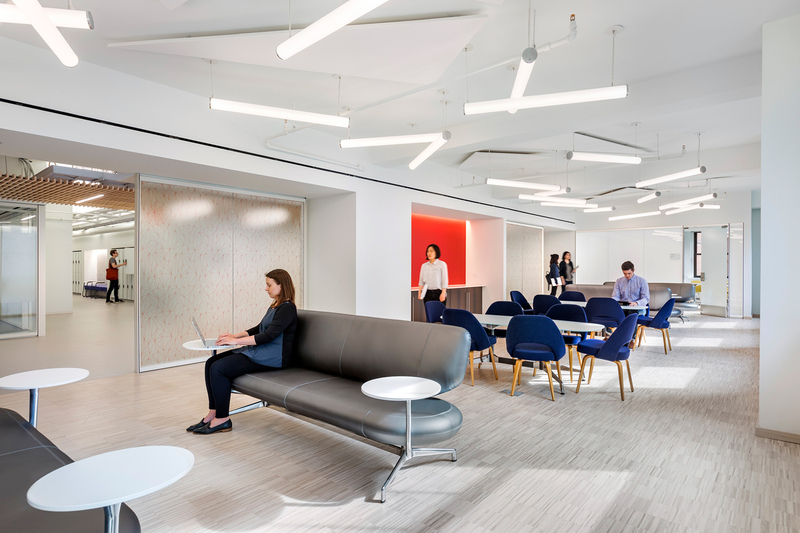 Downstairs, a sequenced program—based on daylight cycles—was implemented to counteract the lack of natural light.